Take advantage of Dina’s Customer Referral program. For every customer you refer to the Agency, a gift of “thanks” will be provided in the form of a gift card- simply to say “thank-you” for trusting us with your friends/family. With more than 20 years of Insurance Industry experience, we offer competitive rates on Auto, Home and Life Insurance. We also provide Condo and Renters Insurance, as we well as Commercial Liability for business owners and vehicle financing. We take pride in our amazing Life and Living Benefits products and are more than happy to share information to assist you and make a difference for you and your family. Aside from Insurance, we offer financial services to protect your financial security today and into the future. Dina was born and raised in Toronto and is U of T alumni. She possesses her CHRL designation and is licensed to provide property and life insurance, as well as mutual funds. Our team is eager to help you get to where you want and need to be! Dina is prepared to serve and guide you through this challenging time. Having been through a difficult and high-conflict divorce herself, she offers compassion and a very strong understanding of how divorce impacts people both emotionally and financially. Dina caters to individuals going through divorce and helps them understand what their needs may be and what they may not be considering. She is confident in her ability to assist you as you move out, take on the expense of a mortgage, car loan, obtain individual insurance and protect yourself and/or your children with life insurance and/or living benefits protection. 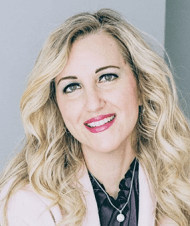 Dina offers over 20 years of experience in the insurance industry and chose to step away from a Corporate Director role, to open her Agency in Toronto and help customers realize their dreams. She has been where you are and wants to help see you through to the other side.